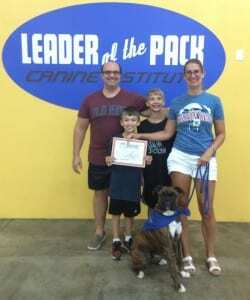 From basic training classes and advanced level skills classes to behavior modification, Leader of the Pack offers it all. 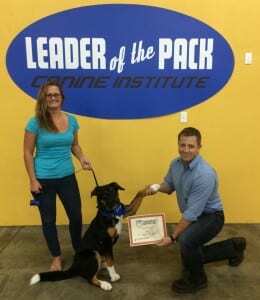 With our experienced classes taught by the best dog trainers in the area, your dog can learn everything from good manners and basic obedience to more advanced concerns such as aggression and other behavior modification. Build a lifetime relationship with your pet that is based on trust and respect. Good communication and boundaries are crucial to building a great relationship between you and your dog. Take a look at our available classes listed below. Congratulations to Megan Williams who has successfully completed all requirements needed to become a Professional Dog Trainer. 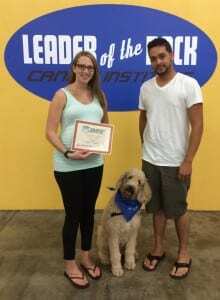 Megan is now a certified trainer through the CCPDT (Council of Certified Professional Dog Trainers). Megan looks forward to working with all the family’s and their pet’s in our canine education programs. 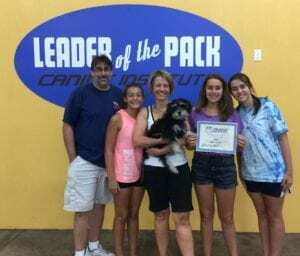 We offer all levels of dog training to the Lehigh Valley, including obedience training, AKC Canine Good Citizen Training and Certification and Private In Home Training or In Center Training for behavior modification including dog aggression. View the curriculum for each below. 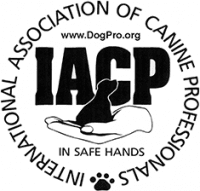 LOPCI specializes in all levels of dog aggression. Our award winning behavior modification program rehabilitates the dog using desensitization and counter conditioning methods. Private dog aggression sessions can be held in your home or at our training center. Puppy Training and Socialization (6 week course/$195) Click here to enroll in a course. This group class is a 6 week course that is for puppies that are ages 8 weeks thru 6 months. The trainers will focus on enhancing the puppy’s socialization skills with other puppies as well as with humans.This time period is the most critical period in a dog’s life for developing self confidence, socialization skills, bite inhibition,as well as learning manners. A 6 ft. training leash is required for class – no retractable leashes, chain link leashes or loop leads. Second sets of Distemper puppy shots are required to attend Puppy Training and Socialization class. Bringing treats that your pet will want to work for is suggested for food based rewarding. Visit our shop page to purchase training treats. Our trainers use the Pro-Treats freeze dried liver. Topics covered in class will include but are not limited to loose leash walk, sit/stay, down/stay, and a reliable “come” recall. Household manners will also be part of the curriculum including puppy mouthing and nipping, crate training and housebreaking, the “off” command for unwanted jumping, “quiet” for excessive barking or whining, “leave it/take it” commands and much more. And of course, there will be plenty of off leash play time for the puppies to interact and build their socialization skills. Adult Beginner (6 week course/$195) All dogs must be dog and human friendly. If you are not sure of your pet’s social skills, an evaluation is required prior to registering for the course. The evaluation, if needed, is a scheduled 20 minute appointment and the cost is $15. Click here to enroll in a course. This 6 week course is for dogs ages 6 months and older. These training classes are designed to help socialize and train older puppies and adult dogs, and include problem-solving ideas for basic behavior problems. Through various group lessons and discussions, the trainers will show you how to successfully communicate with your pet. Learn the secret to successful dog training – “conditioned responses”. Class curriculum includes, but is not limited to, the loose leash walk, “sit/stay, and down/stay”, “stand”, the come recall, “off” for unwanted jumping, “quiet” for excessive barking or whining, “leave it/take it”, drop it, and much more. Learn how to communicate with your dog as you learn “canine communication”. This portion of the class will strengthen the bond between you and your pet. You will learn to understand distance increasing, distance decreasing and calming signals presented by your pet. A 6 ft. leash, rabies vaccine are required for class. Bringing treats that your pet will want to work for is suggested for food based rewarding. Visit our shop page to purchase training treats. Our trainers use the Pro-Treats freeze dried liver. 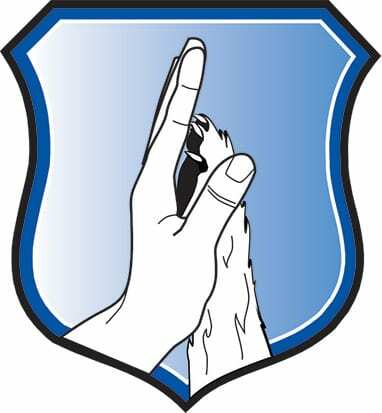 Intermediate Obedience (6 week course/$195) Click here to enroll in a class. Whether you are looking to take your pets obedience training to another level or just want to have fun training your pet, this six week course will test your pets disciplines that were conditioned in the Adult Beginner course. By increasing distance, duration of time and distraction levels your pet will sharpen their focus and condition responses for stays and recalls along with long distance commands. Redirection techniques will also be used to help families redirect their pets attention when needed in an environment with distractions. Socialization skill building will continue with other dogs and humans but with increased self control exercises. The Adult Beginner course is a pre-requisite to the Intermediate course. Cost of this six week course is $195. Advanced Obedience (6 week course/$195) Click here to enroll in a class. This six week course is the ultimate environment for conditioning disciplines with a high level of distractions. From off leash walking, to out of sight recalls this course will sharpen the focus between you and your pet. Are you up for the challenge? Intermediate obedience is a pre-requisite to the Advanced Obedience course. Cost of this six week course is $195. 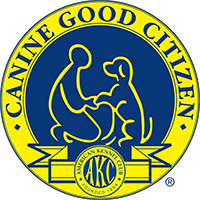 The American Kennel Club’s CGC or Canine Good Citizen test is granted to show that your pet has manners in the community, with other dogs and people. If your pet needs to prepare for the test, we highly recommend our “Adult Beginner Course” which is a 6 week course. Lessons include the importance of greeting a friendly stranger, walking through a crowd, ignoring distractions and more. 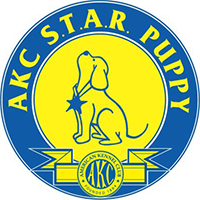 One of our AKC certified evaluator will administer the AKC CGC test and certify your dog at the end of the course. 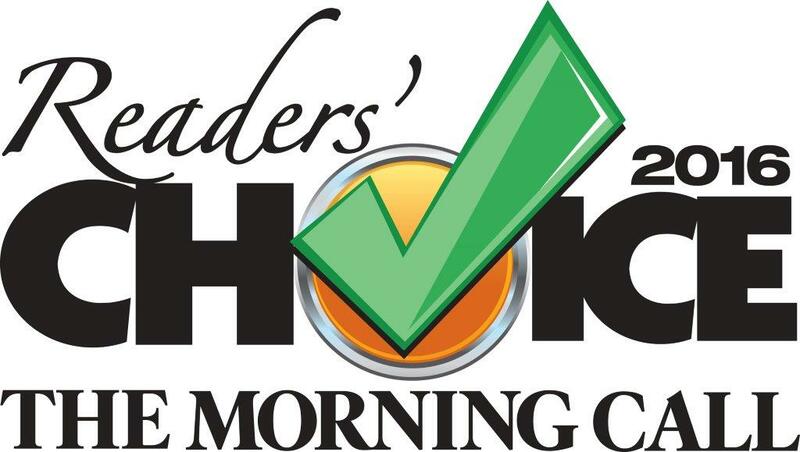 To schedule a test for your dog, please call us at 610-366-8282. * Updated vaccinations are required to attend classes.